The Trump administration will impose new sanctions on Russia, alleging that President Vladimir Putin and the Russian government used a chemical weapon to poison former Russian spy Sergei Skripal in an assassination attempt in Great Britain, the State Department said Wednesday. Congress has been notified, and the sanctions will go into effect on Aug. 22. The sanctions aim to deny Russian state-owned and state-funded enterprises access to any national-security-sensitive goods and technologies originating in the U.S. The U.S. will also ban Russia from receiving U.S. weapons or military technology and financial assistance. State Department officials told reporters on a call that the economic impact of the sanctions would be in the range of "hundreds of millions of dollars" and would target electronic devices and engines, for example. The State Department said that it had notified the Kremlin ahead of the public announcement and that it had had a "good deal of diplomatic engagement" with allies beforehand. "Following the use of a 'Novichok' nerve agent in an attempt to assassinate U.K. citizen Sergei Skripal and his daughter Yulia Skripal, the United States, on August 6, 2018, determined under the Chemical and Biological Weapons Control and Warfare Elimination Act of 1991 (CBW Act) that the Government of the Russian Federation has used chemical or biological weapons in violation of international law or has used lethal chemical or biological weapons against its own nationals," Nauert said Wednesday. "Following a 15-day Congressional notification period, these sanctions will take effect upon publication of a notice in the Federal Register, expected on or around August 22, 2018." President Trump met with Putin at a summit in Helsinki, Finland, in July. 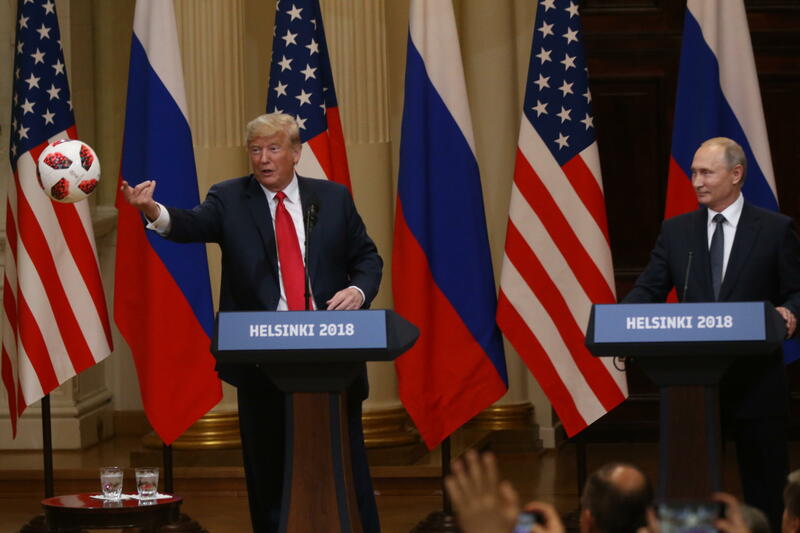 The summit was widely criticized by Democrats and Republicans alike, fearing that Mr. Trump was too conciliatory to Putin. Kylie Atwood contributed to this report.